Anyone’s who has been to the open air food markets in Rome know this is one of the best seasons for food. We’ve still got artichokes, favas and peas, while eggplants and tomatoes are working their ways into the stands. And the fruit….oh the fruit! Strawberries are plenty while cherries have just arrived! But what gets me most excited about cooking is all the wonderful herbs that can go with these fresh spring vegetables and is a fundamental component of Italian, in particular Roman cuisin e.
At Roman markets we have a spe cial herb called mentuccia, a wild mint variety that has a more buttery taste with smaller leaves than its sister peppermint plant. It is used in classic Roman dishes like Carciofi all Romana (Roman artichokes) or vignarola a green vegetable stew of favas, peas, artichokes and spring onions and when tasted just makes you think of spring bike rides and summer picnics…..
Pun intended. 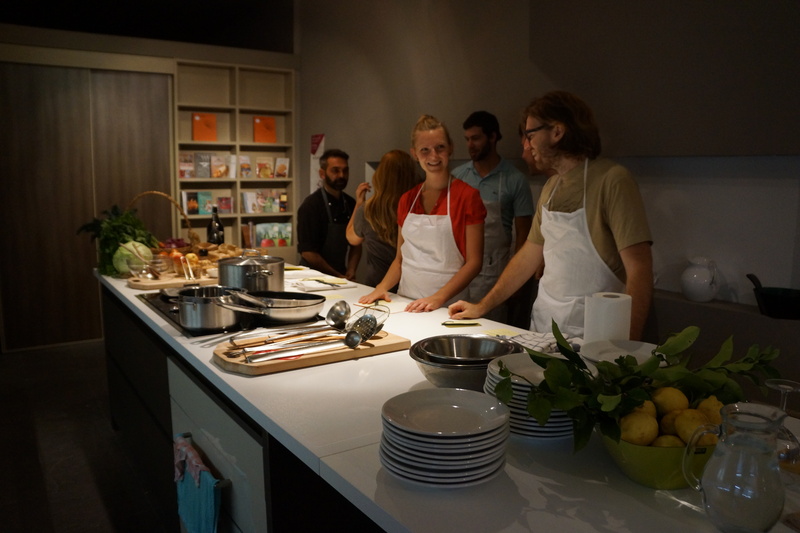 Check out photos from our wonderful dinner-class where we made three kinds of pasta ripiena! 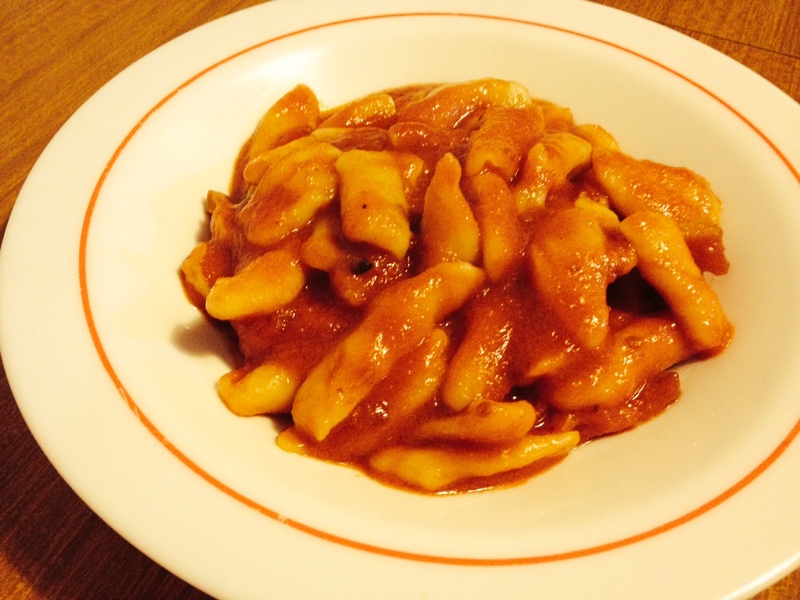 We’re so excited to announce a our next dinner-class Wednesday evening, March 12: Pasta Ripiena (filled pasta). 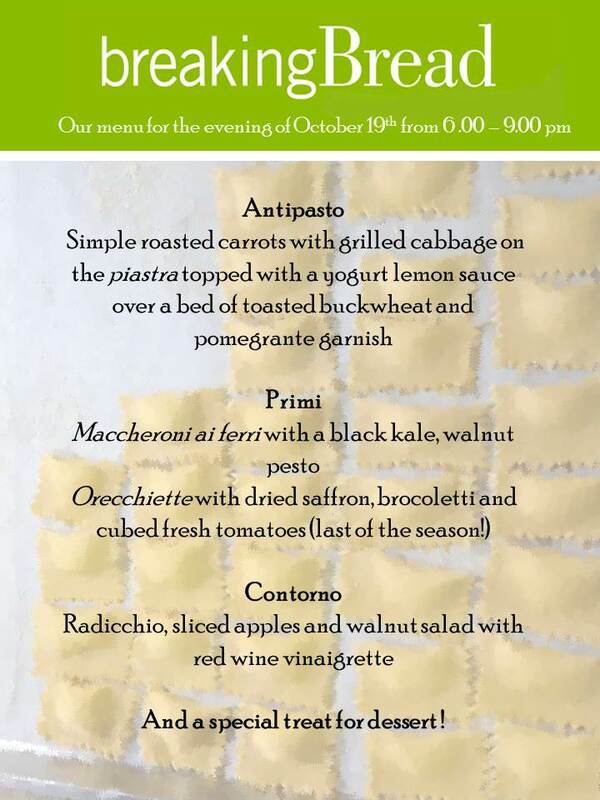 We’ll be preparing classic ravioli along with some special filled pastas like cappelletti in brodo. The dinner includes a main course, second, dessert and wine that will all be made alongside our talented Italian chef. So come join us for the evening to learn how to make these delicious winter pastas, taste local ingredients and spend an evening among good company. Advanced booking mandatory, by Friday March 7. Maximum 10 guests. BUONE FESTE and hope to see you there! Thanks to Johanna Resta from Bel Mondo Vintage and her awesome photography skills for these photos, enjoy! 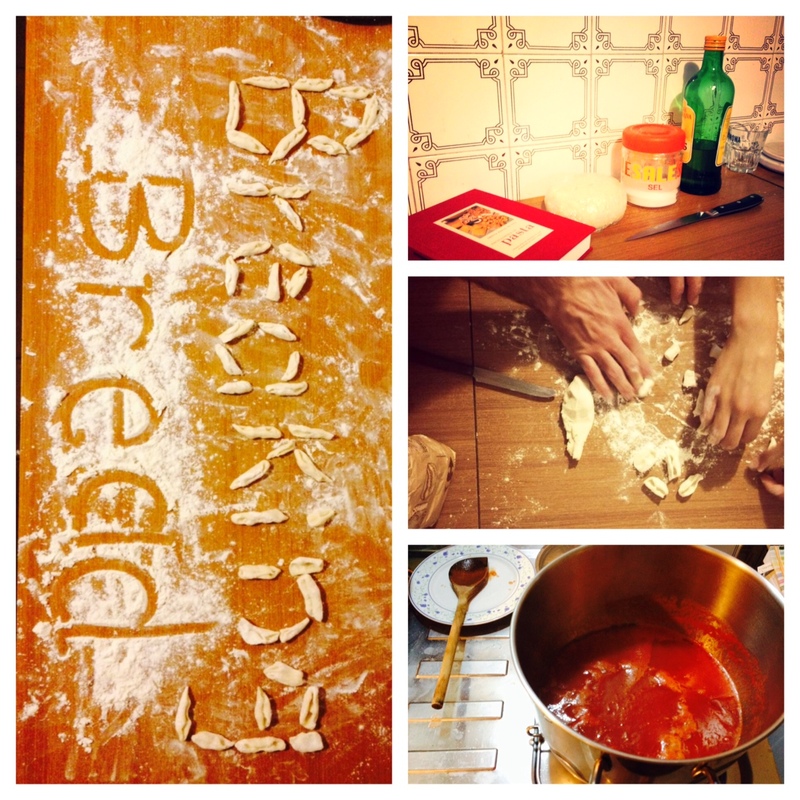 EVERYONE should know how to make Gnocchi, just two spots left for dinner-class! This Thanksgiving let’s be thankful for good company and good FOOD. Everyone should know how to make gnocchi, so don’t miss the chance to learn beside a seasoned pasta maker, chef Domenico Cortese from the Rome Sustainable Food Project, and gather for an intimate full-course gourmet meal with only the freshest local ingredients. We are accepting just a few more reservations for our Gnocchi class this Saturday Nov. 30. What a wonderful class we had preparing Italian fall soups, crostini and homemade crackers with chef Carlo Sanzini last Saturday. After all this rainy-cold weather in Rome, soup was just the fixin’. As a staple of the Roman table and a means to bring people together over a ‘one pot’ meal, our zuppe surely did the job. We are happy to share our beautiful photos taken by the wonderful Merve Ozaytekin and are so excited for our next class this Saturday Nov. 30, we’ll be making GNOCCHI three ways, with chef Domenico Cortese from the American Academy in Rome! Join us for our next dinner-class where we’ll prepare GNOCCHI three ways, completely from scratch. It’s easier than you think! Learn how simple a favorite cold-weather pasta can be cooking alongside our talented Italian chef, Domenico Cortese from the American Academy of Rome. Meet interesting locals, expats and travelers while practicing some Italian over a delicious full-course meal. We’ll gather, cook, talk, and eat in our cozy kitchen using ingredients freshly sourced from Lazio farmers, then enjoy a full-course meal around one common table. Some photos from our ‘Dolci Italiani’ course, so sweet! 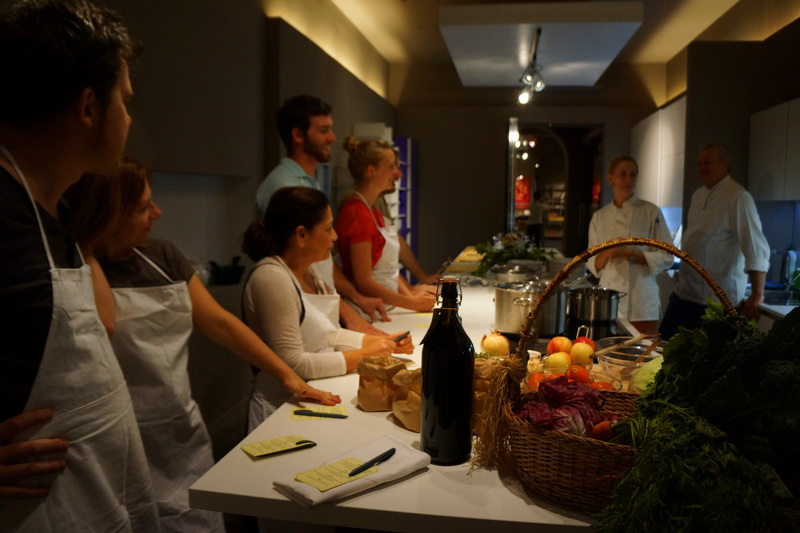 Sharpen your culinary and language skills at the same time! 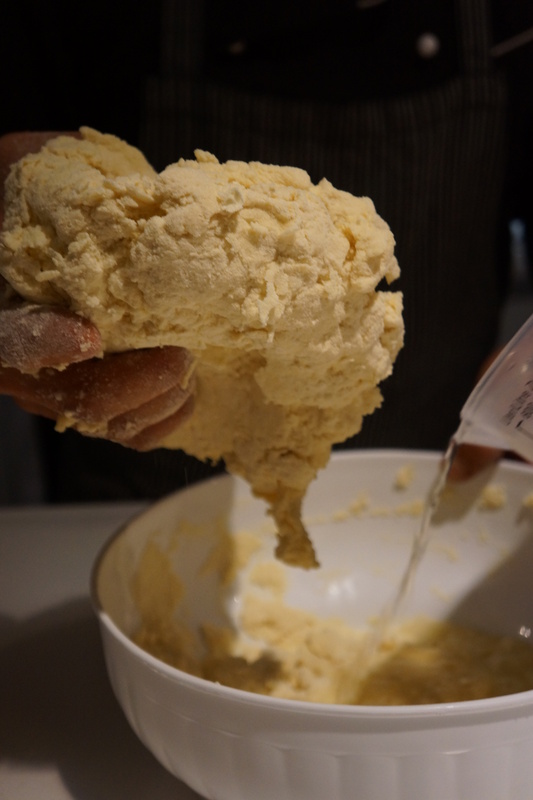 This Saturday we have a special opportunity to bake Italian pastries with an Italian-speaking pastry chef, Carlo Sanzini from Sanzini Pasticceria, as we prepare recipes that have been passed down through generations. 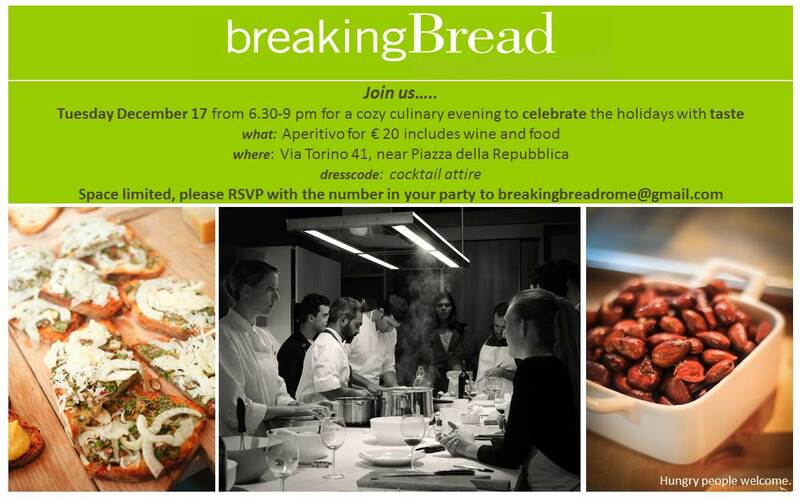 So come socialize with locals and expats while sharpening your culinary and Italian skills at the same time! 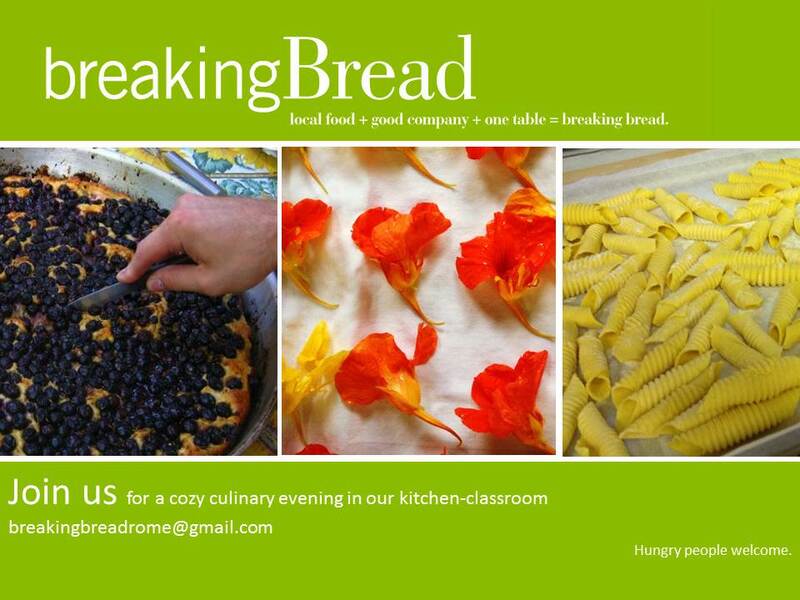 We’ll be preparing fall specialties while learning pastry fundamentals like pasta frolla and homemade focaccia. Our first culinary class, feast your eyes! Our next culinary class will be this Saturday with chef Domenico Cortese, from the American Academy in Rome, from 6.00 – 9.00 pm. We’ll be preparing two varieties of pasta completely by hand, orecchiete and maccheroni ai ferri, both of which originate from the ‘sud’ and will be paired with uniquely delicious sauces, all using ingredients freshly sourced from Lazio farmers. So come join us, learn the craft of Italian cooking and meet some great folks! Dinner will be a full 3-course meal with wine and caffe at Ottagoni Kitchen, Via Goffredo Mameli 9, Trastevere. Maximum 10 guests.